Indie publisher A Wave Blue World is at it again with another packed anthology. 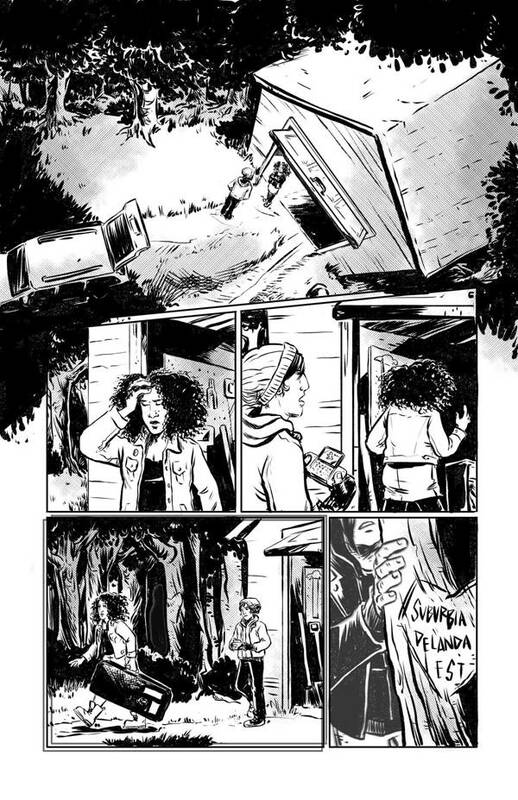 Dead Beats, a book inspired by Haunted Collector and Twilight Zone, mixes music themes into the macabre. 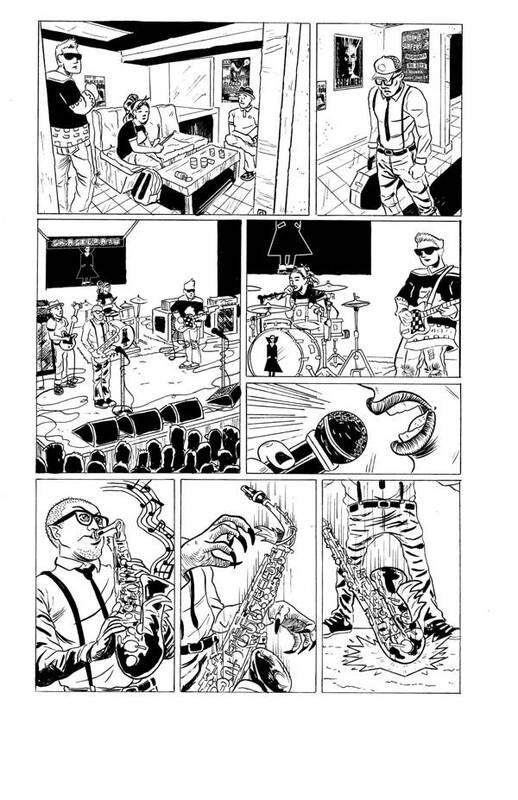 Currently on Kickstarter, Dead Beats is curated by Eric Palick and Joe Corallo. It features a pretty robust line-up of creators including Ivy Noelle Weir, Christina “Steenz” Stewart, Magdalene Visaggio, Daniel Kibblesmith, Rachel Pollack, Richard Case, Vita Ayala, Regene Sawyer, and more. 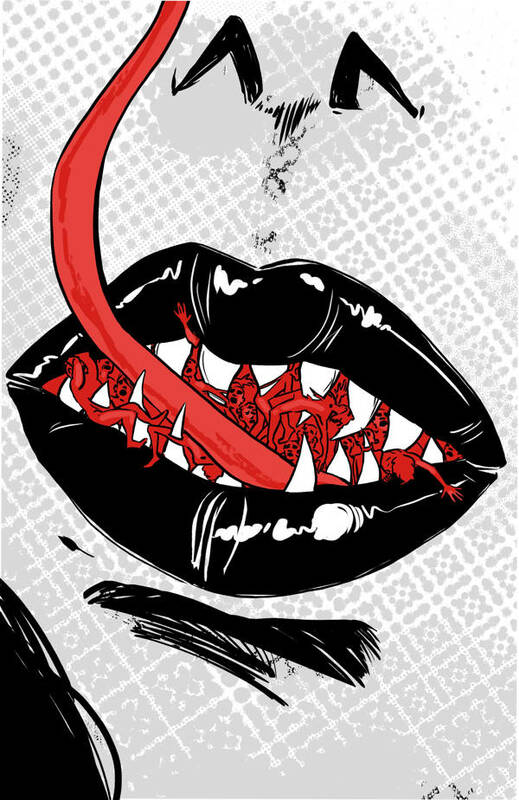 "I had the opportunity to be a part of This Nightmare Kills Fascists, and Eric was in Mine!, so after having edited each other’s' work we thought that it was about time we edited an anthology together!” says Editor Joe Corallo. “Tyler had been supportive of my work in the past, and knowing his passion for comics being a medium for change, I knew that partnering with AWBW meant that I'd be working with a publisher who shared my priorities for wanting to share unique stories featuring a wide range of characters." The music-themed horror anthology centers on the proprietor of a music store that sells a number of unusual artifacts. The “shoppe keeper” guides readers through the shop with each tale revealing the origin of a new mysterious item. It sounds a bit like Needful Things meets Empire Records. “I’ve always found the most compelling anthologies to be those with a clear theme. Each story fits together like pieces of a puzzle creating a whole. 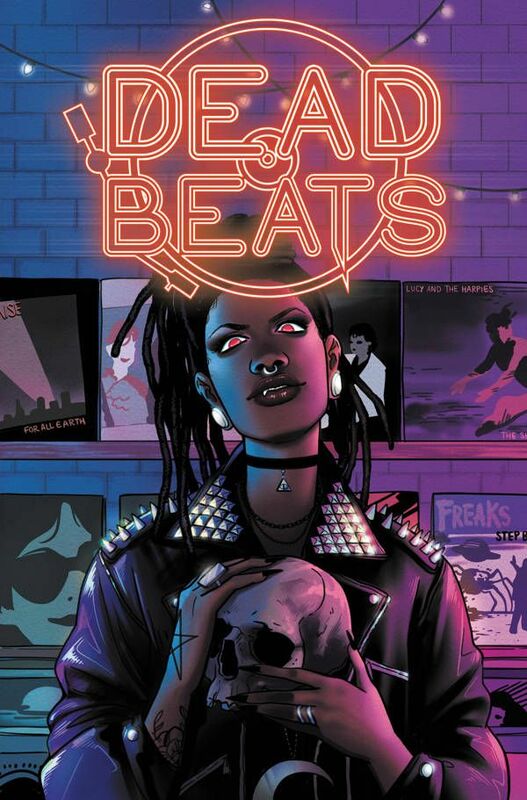 With Dead Beats, we’ve accomplished just that while still giving each creator enough room to tell their own thrilling tale of mystery and suspense,” President/Co-Publisher Tyler Chin-Tanner stated. Contributing creators share Lisa Sterle’s enthusiasm about Dead Beats, “I am so pumped to be working on Dead Beats with Joe Corallo and the rest of the team. 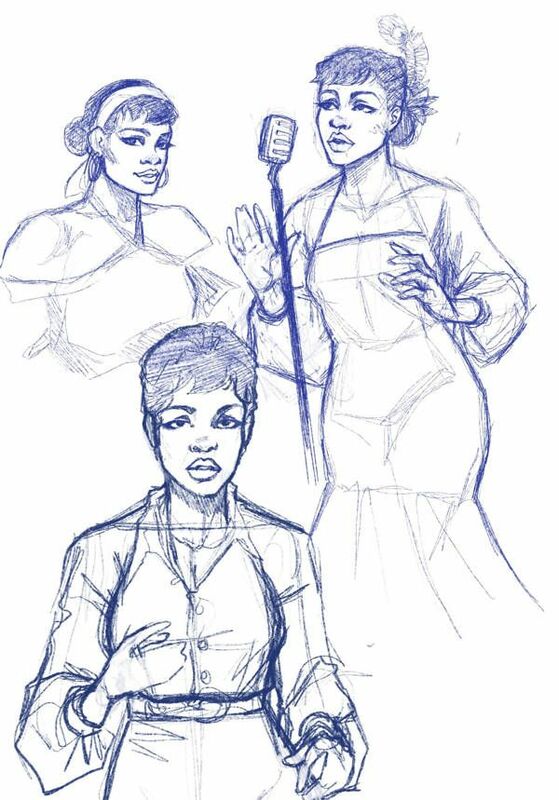 When they approached me to design the main character and pitched me on the anthology, I absolutely knew I had to be involved. Horror and music are such big sources of inspiration for me! 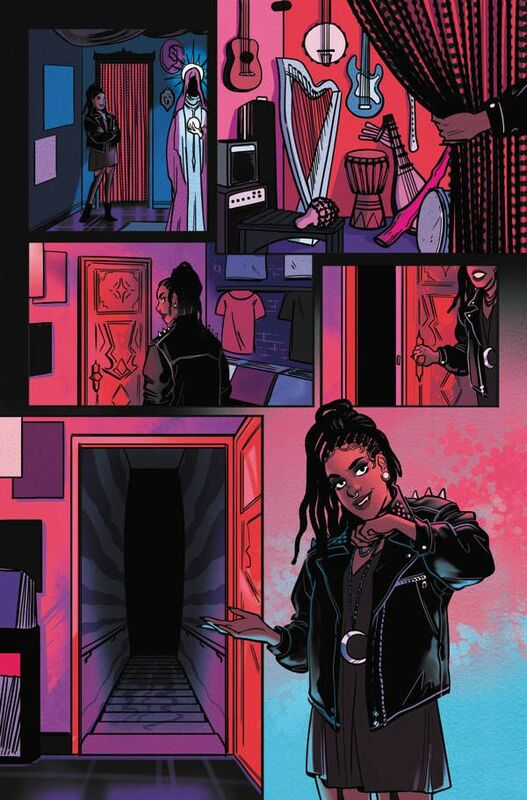 I also had the opportunity to stretch my wings a bit and fully color my own pages for the first time so I cannot wait to share. This is gonna be a phenomenal book." Rewards for the Kickstarter campaign include digital and physical copies of the book itself, stickers, t-shirts, other books from A Wave Blue World, original artwork, and pitch reviews.